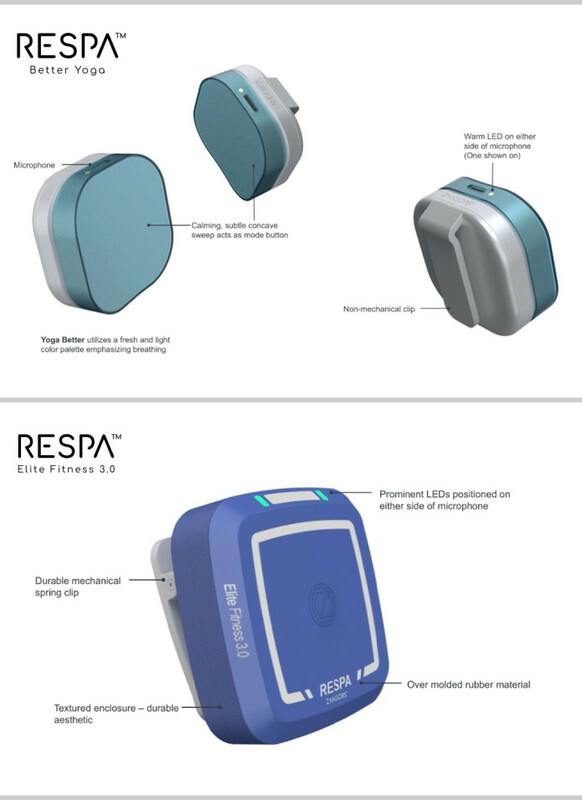 RESPA™ The World's First Breathing Sensor to Boost Workouts! Just Clip-Press-Go! Meet RESPA™, your clip-on coach to gain the edge in your next race, guide your fitness routine & deepen your yoga practice. RESPA™ is an easy-to-use wearable sensor that tracks your breathing for the duration of your workout. With the RESPA™ companion app, you can train smarter and practice better as you get real-time alerts for staying in optimal breathing zones. The algorithm interprets breathing data collected by sensors to notify in real-time when you should push harder, stay in your sweet spot, or slow down for optimal performance. Breathing is a function that can be trained. Strategies that encourage deep, slow, paced breathing help to control respiratory rate changes during activities and are beneficial to extend the duration of an activity prior to reaching VT thereby maximizing the conditioning effect. Whether you’re training for your first race or just trying to get in better shape, RESPA™ Fitness 2.0 helps you build stamina and maximize calorie burn every time you exercise. Crossing ventilatory threshold (VT) can damage muscle from lactic acid buildup/overtraining. The device beeps/vibrates in real-time, notifying to dial down or stop training. 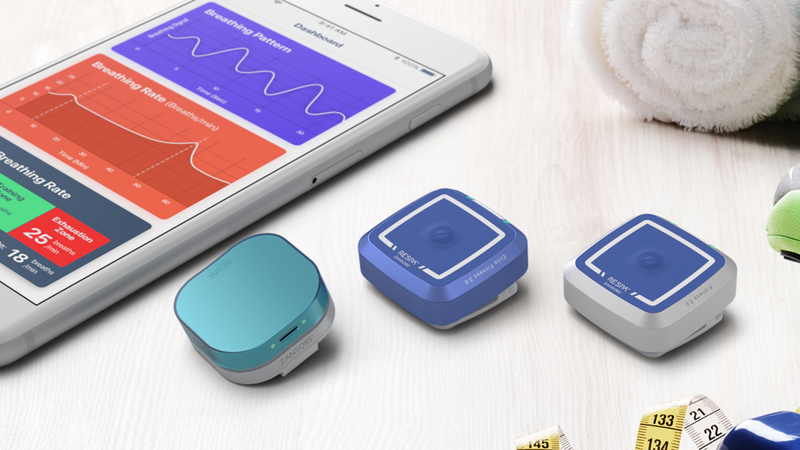 The sensor gives gentle alerts that remind you to come back to your breath during your yoga practice, and it provides breathing data visualizations and coaching to help you improve your practice over time. After each workout, the RESPA™ app provides easy-to-understand breathing data visualizations that allow you to track your progress and prepare for your next session. The companion app will track your progress to provide positive reinforcement and achieve your personal fitness goal, whether it is to lose some weight, improve fitness enough, complete 5k community run, race for a marathon or achieve your desired breathing pattern during yoga. Your RESPA™ comes with an easy to use, rechargeable battery that gives you up to 36 hours of functionality in any exercise session. Respa has strong intellectual property (IP) behind its science and technology, and we're very excited to bring this new device to you. We have filed utility patents for the algorithm, design patents for the look-and-feel, and a trademark for the name. We have a strong history of winning approval from the United States Patent & Trademark Office (USPTO). The Respa team, powered by Zansors, has been awarded four utility patents, five design patents, and six trademarks in the last three years. A strong IP portfolio for Respa means that this invention can endure so that many can enjoy and benefit from it for years to come. Not only is Respa strong on the science and IP side, but we also have a sharp manufacturing strategy to ensure 100% quality. As a benchmark, companies like Apple and Qualcomm own their proprietary designs but they have their products manufactured by third-party contract manufacturers. Respa will follow this same model., which has many benefits. First, Respa will be made right here in the USA. 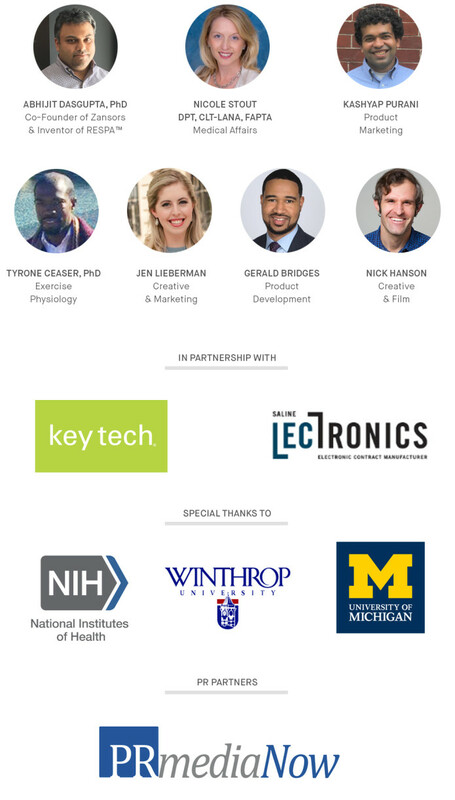 The device will be manufactured in Michigan - known for its electronics and automobile manufacturing - which means that its durability and quality will be excellent. Finally, we hand our proprietary blueprint designs to a specific third-party contract manufacturer who has the highest quality standards including ISO 9001 standard. Our partner has been in business since 2002, and they are experts in printed circuit board assembly and electronics manufacturing. Plus, they have an FDA certification for medical products. When you receive your very own Respa device, you can feel confident that you're getting the highest quality product. Measuring heart rate (HR) alone is not enough for fitness training. “Breathing always wins”. No matter an individual’s physical endurance level or functional capacity, they fundamentally need a way to breathe. Under periods of physical exertion, the body will find ways to maximize oxygen intake through breathing and in doing so sometimes even compromise other systemic or structural functions. What is Lactate Threshold/Ventilatory Threshold and what happens in the body chemically? When a person exercises they eventually get to a point where the level of exertion requires an increase in oxygen uptake to continue the activity. At this point, they begin breathing more frequently and/or with greater depth to meet the needs of physical exertion. Ventilatory threshold (VT) is the point after which ventilation begins to increase disproportionately relative to oxygen uptake. This point is often considered a submaximal point for optimal moderate exercise prescription. Breathing strategies using real-time monitoring can help an individual maximize time to reach VT which optimizes training and endurance and mitigates stress response on the body. In deconditioned and compromised populations, this breathing sensor technology may be a critical physiological pathway to optimizing weight loss, increasing lean muscle mass, and reconditioning endurance. Zansors team has been doing research and product development for breathing sensor technology for medical applications for over 5 years. The application specifically for athletes and yoga started to materialize in late 2017. 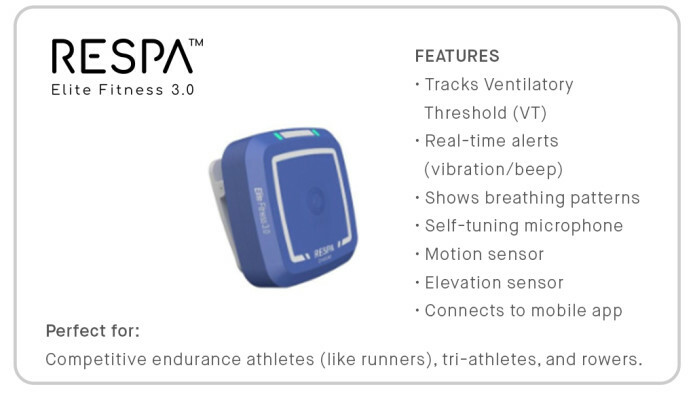 Since then, our team of researchers, engineers and designers have worked tirelessly to design, build and test the Respa line of breathing sensors and collaborated with yoga instructors and competitive athletes to fine-tune their performance and efficacy. In terms of scaling of manufacturing, printed circuit board and enclosure designs are finalized as well as embedded software development is complete. Third-party contract manufacturer based in the USA is also selected. App screen design is complete. Provisional utility and design patents are submitted. We’re ready to start manufacturing for the first batch.